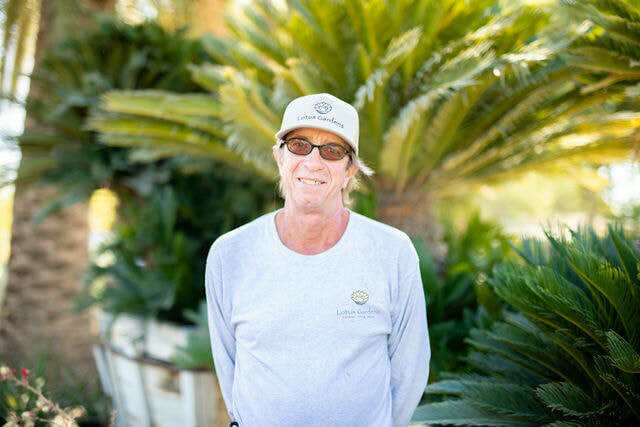 Tom Spino has been landscaping the valley for over 35 years. Licensed with the State of California (C27 Landscape and B General Contractor), insured and bonded, and ready to redo your current landscape or just spruce it up for you! Matt's specialty is locating special request plants for our clients. He's been in the plant business since college when he worked at OSH nursery, where he worked his way up to manager. After OSH he managed Old Creek Nursery before joining Lotus Gardens. Have a garden question, Matt can probably answer it for you, along with providing extra tips and tricks! 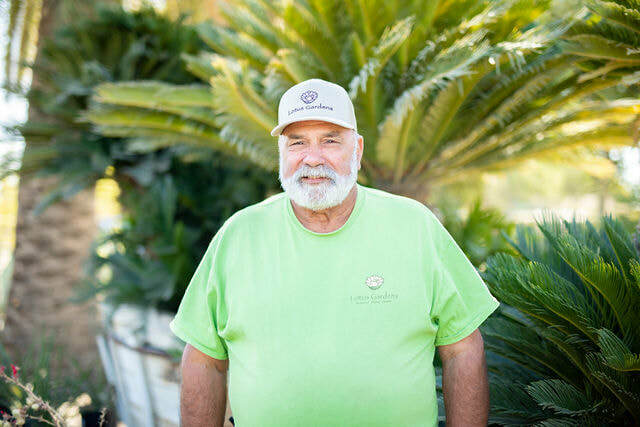 John is an all-around nurseryman, but is especially knowledgeable in trees and tree health, drought tolerant plants and proper pruning of plants in general. Need some gardening advice? Stop by and talk to John, he'll point you in the right direction. Bill specializes in turf grasses and is also a licensed landscape contractor. Thinking of remodeling your landscape or just refreshing your outdoor space? Bill can answer your questions and inspire your outdoor creativity. Patty specializes in aquatic plants and loves working in her yard because as she says, "It's good therapy." 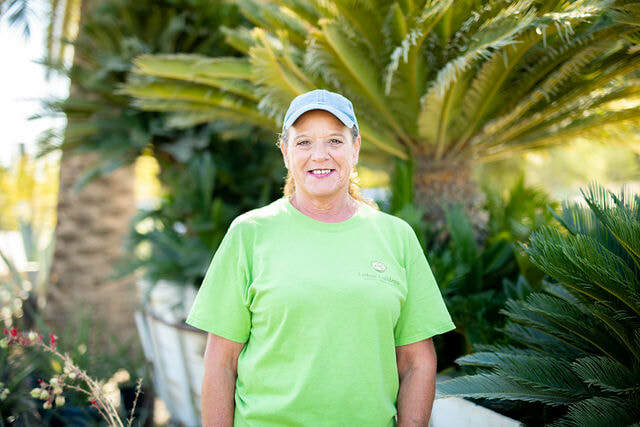 She's worked at Lotus Gardens for over 20 years, so she knows a thing or two about plants, gardening and keep your landscaping looking beautiful.